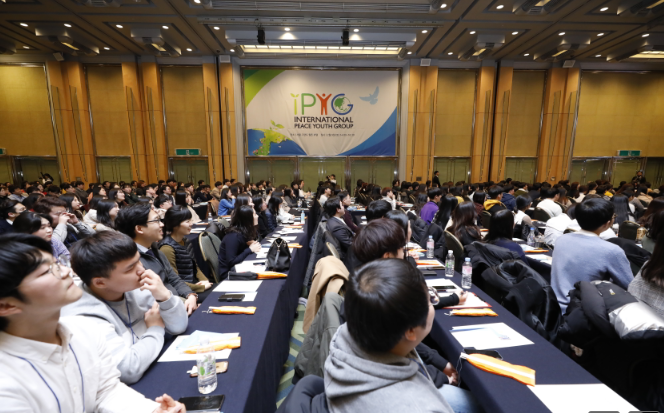 In search of the role of civil society to create a unified Korea with peaceful means, an inauguration of the ‘North and South, Let’s Be “Us” Again’ with the aim of raising the awareness of peace to Korean youths was held with 1,000 participants at the Grand Hilton Hotel in Seoul, South Korea on February 9th. 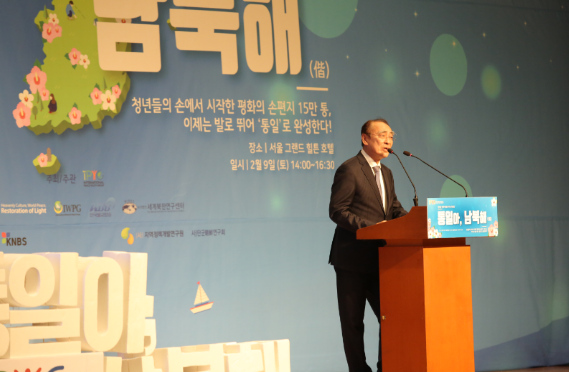 The event was held under the theme of “Youth pictures the peaceful future for the Korean peninsula”. The first half of the event was dedicated to an opening ceremony, congratulatory speech, and a series of the lecture while the second half was dedicated to the inauguration ceremony, joint statement presentation followed by the special performance. 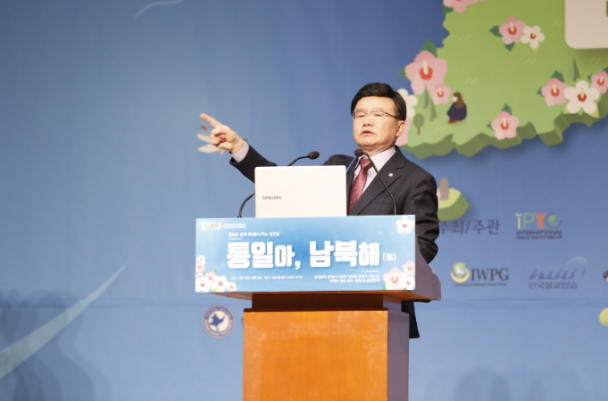 At a congratulatory speech, Prof. Chang Ho-Kwon, invited professor at Hanshin University, said, “By showing public support for unification of Korea through collaborative efforts of civil society and subsequent government capabilities, the gate of unification will be closer. Mr. Ahn Chan-Il, the President of the World Institute for North Korea Studies, gave a lecture on the recent change of North Korea and the potential positive effect on the unification. “The true meaning of cessation of the Korean War is unification. 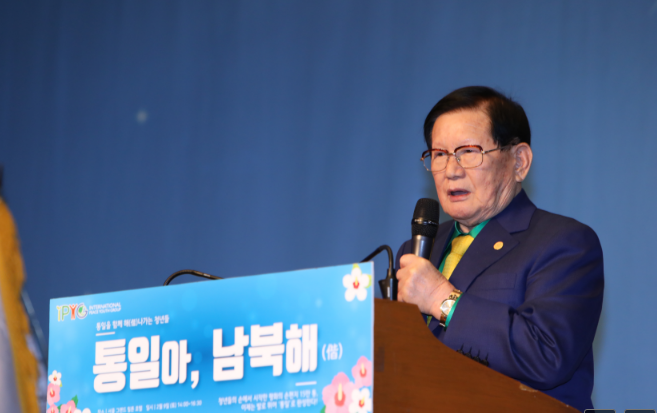 When today’s Korean youth who will lead the time of reunification prepares it with aspiration and achieve it in 20 years, Korea can stand firm in the global community,” said Mr. Ahn. ‘ North and South, Let’s Be “Us” Again’ is a youth-led campaign where the youth gather to advance ideas into practical action plans, and further nationwide reunification movement by collaborating with the civil societies. Starting with the inauguration ceremony on February 9th, it will be continued for 4 weeks with 3.1 commemorative events and the reunification campaign across the country.